If you are looking for a .net pdf to jpg converter, pdf to jpg .net library, c# .net pdf to jpg component, pdf to jpeg converting software for vb.net, or asp.net pdf to jpg converter control, please try CnetSDK .NET PDF to Image Converter SDK. CnetSDK .NET PDF to Image Converter SDK is a mature PDF to JPG .NET library for multiple .NET applications development, like .NET Windows Forms, ASP.NET web (AJAX), C# & VB.NET programming projects, etc. To integrate high print quality PDF to JPEG/JPEG converting features into your .NET projects, you may firstly download the free trial of our PDF to JPG .NET library. And then, choose the suitable .NET PDF to JPEG converter component dll based on your .NET Framework version. Finally, directly add .NET PDF to JPG converter control dll to your .NET project reference. Now, you can use its mature PDF to JPG/JPEG APIs in your project. You can download the free trial of our PDF to JPG .NET library component from the above download button and have a quick evaluation in your .NET application development. But for free PDF JPG .NET library component trial, a watermark ("www.cnetsdk.com") will be shown on each converted JPG/JPEG file randomly. To remove the watermark, please order a suitable license. You may see detailed license and price details from the above “License & Price” button. 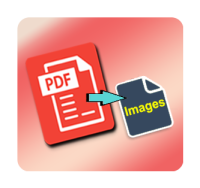 CnetSDK PDF to JPG converter .NET library enables developers to load PDF document from a local file on your disk and a memory stream in your .NET project. Moreover, developers can set the size of output JPEG/JPG image, to be the original PDF document page size or specified image size. In this section, you will see two pieces of C# demo code for how to use .NET PDF to JPG converter component to transform and convert PDF to JPG/JPEG image with original and customized image sizes. If you want to convert PDF to image JPG/JPEG in ASP.NET web application, please see this online guide page: ASP.NET convert PDF to JPG Image on ASPX web page. CnetSDK .NET PDF to Image Converter SDK support high quality pdf to jpg converting and it is also searched by .NET programmers using .net pdf to jpg converter, pdf to jpg .net library, pdf to jpg converter, pdf to jpg software, pdf to jpeg pro, pdf to jpeg file pro, convert pdf to jpeg file free library, pdf to jpg c# conversion, c# .net pdf to jpg component, asp.net pdf to jpg converter control, pdf converter jpg software, vb.net pdf to jpg, vb.net pdf to jpeg converting, convert pdf to jpg free component, convert pdf to jpg c# control, convert pdf to jpg windows 10, how to convert pdf to jpg on windows, and convert pdf to jpg png. You may directly search CnetSDK and find this pdf to jpg library you need.